Hoya's Star 8 Cross Screen is designed so that a 8-point star is created from point light sources and reflections. 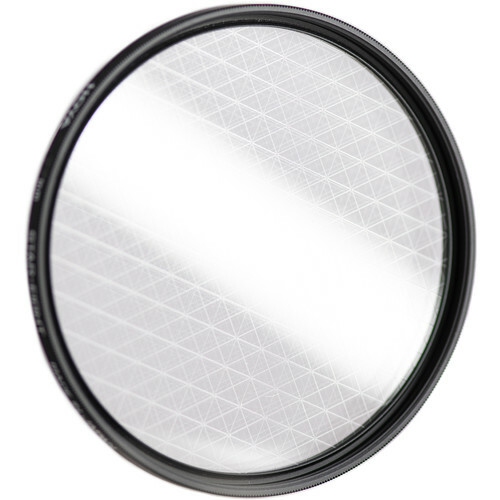 Box Dimensions (LxWxH) 3.5 x 2.8 x 0.4"
58mm (8 Point) Star Effect Glass Filter is rated 4.8 out of 5 by 4. Rated 5 out of 5 by NH Shutterbug from 8 Point Star Exactly what I was looking for. Pronounced in low light. Much better than the less expensive ones available on other websites. Rated 5 out of 5 by Gotcha! from Reaching for the stars... Love the effect of what the star filter gives...trying to catch the fire coming out the barrel of a gun (shooting black powder blanks only). I would recommend this to everyone...a friend expressed interest in one so I purchased it for her. Rated 4 out of 5 by Anonymous from Spectacular Beautiful and fun effect.